Last Thursday, the Houston Astros clinched their first ever World Series and they were aided by a deadline deal in which they acquired Justin Verlander from the Detroit Tigers. 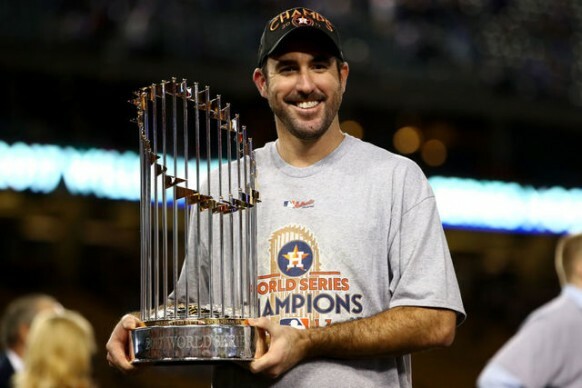 Both the Astros and Verlander were rewarded with a World Series championship, however Verlander also received a potentially unforeseen monetary reward for his efforts. By finishing the season with the Astros, which plays its home games in a state with no income tax, as opposed to Michigan, and extending the season until November 1st Verlander successfully lowered his overall tax liability in 2017 by $443,857. Although all Major League Baseball players pay Federal, Medicare and Social Security tax, there exposure to state and city tax is directly related to their residence and where they play both their home and away games, therefore, each team will have its own unique tax liability. This season, Justin Verlander’s salary was $28,000,000. Taking into consideration the start of the season, which began in spring training and ended on November 1st Justin Verlander’s salary needs to be pro-rated between each state in which he played. Had Verlander remained with the Tiger for the entire year his net income minus his federal and state tax liability would have been $14,979,343. As the above analysis shows, state tax issues have a significant affect on professional athletes. In Justin Verlander’s case the fact that he was traded to a team located in a state with no income tax created a positive effect in the form of $443,857 in additional net income. Although the short-term effect seems substantial the long-term benefit is even greater. With the three remaining years on Verlander’s contract worth $78 million the tax savings by playing in Houston as opposed to Detroit would be an additional $2,543,769. As Justin Verlander’s case shows, taxes can have a substantial effect on professional athletes. Understanding the tax implications before making any decision can provide an adviser the ability to make a more informed decision. Knowing that the decision to waive his no trade clause at the deadline would profit him nearly $3 million over the remainder of his contract may have made Verlander’s decision easier. Although not all decisions are made for monetary reasons, knowing the tax implications of a free agent signing or a trade can provide advisers and athletes with useful information. With 20 of the 24 states in which professional athletes play implementing their own version of the ‘jock tax’, it is important to have professional guidance from an individual who specializes in understanding all the unique tax issues that face professional athletes. AFP Consulting LLC offers tax analysis, planning and preparation for professional athletes. To find out more about our services and how they can provide you with the information needed in making an informed decision, please don’t hesitate to contact me at alan@afptax.com.